Tropical Cyclone Ula’s path through Fiji and Tonga at the start of 2016 is a reminder of just how important an opportunity the Pacific Humanitarian Challenge is for the region. In this challenge, remember, gender matters. The disasters that affect the lives of so many in the Pacific region can have a disproportionate impact on women and girls. When community resilience, disaster risk reduction efforts and disaster response preparations don’t involve women as equal partners and leaders, crucial perspectives and information are missed. Women can and do play crucial roles in supporting communities during a disaster and in recovery, yet often these roles and contributions aren’t reflected in the response leadership and decision making, and the analysis of lessons learned. Specific needs of women and girls can be neglected in disaster responses. The sexual and reproductive health needs of women and girls need to be taken into account. Ensuring that pregnant women close to delivery are able to access supplies and facilities for safe birthing is crucial. In the Pacific, where health centres, supplies and homes can be washed away, this is essential. In the region, sexual- and gender-based violence rates are over 60 percent in some countries. It is a sad fact that rates of sexual- and gender-based violence increase during natural disasters. Ensuring protection from violence is taken into account in all disaster response and recovery efforts is essential. Second, reflect on how this innovative solution will be used, and by whom. Ask, to whom will it be available and accessible? Who do we need to reach to ensure it is available to women and girls as well as men and boys? What is the best way to do this? Third, reflect on how you will test and develop this innovative approach. Ensure leadership and consultation involves women and girls in ways that will be empowering and help them support their communities, advocate and lead. Finally, reflect on those in the community that are most vulnerable, and ensure that you are including their views, perspectives and needs. 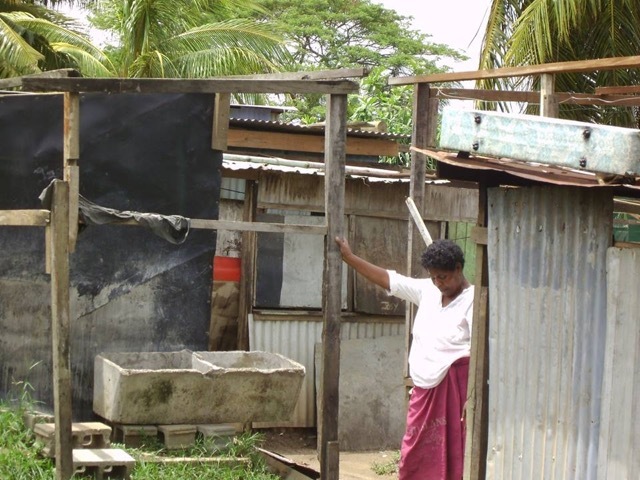 Women and girls with disabilities, in isolated rural and maritime communities, urban squatter settlements, will all have different perspectives and great insights to offer on what works for them. The active involvement of women and girls in preparedness efforts, in responses and recovery is essential to ensure not only that specific needs are being met, but also that assistance and advice are effective. If it isn’t working for women, it isn’t effective. As those in affected areas are weathering Tropical Cyclone Ula and preparing to face the hard recovery efforts ahead, the Pacific Humanitarian Challenge can provide new and innovative approaches to help communities prepare, respond, recover, and be resilient. In identifying innovations — remember — gender matters. Sarah Goulding is a Senior Specialist Gender Equality for the Department of Foreign Affairs and Trade, and provides technical advice on gender, development and aid effectiveness to the Australia’s Aid Program.